OCS commenced operations in Singapore in 2007. The Company focus is the provision of construction management, engineering, strategic equipment and consulting services primarily to the offshore oil and gas sector. Changing industry dynamics has resulted in a continued shortage of properly qualified and motivated engineers with the right experience to deal with the range of complex issues faced by offshore operators and contractors. OCS employs a base load of personnel with extensive experience in all facets of marine construction. OCS uses this depth of experience to mentor and train new personnel and has built an organisation capable of taking on the most difficult projects. To complement our Operational and Field Engineering staff OCS has built up a mature Design and Construction Support Engineering group equipped with the latest industry software to provide engineering analysis required for marine structure and pipeline design, transportation studies, pipeline and cable lay, pile drivability, mooring analyses, engineered lifts, jacket launch, float and upend, topside floatover installation and a range of other applications. Pipelay Barge DLB 01 from McDermott and OCS now operates the vessel on behalf of Timas executing a wide range of marine projects. The vessel is equipped with a 12 point mooring, 900 ton revolving Derrick tub crane and full pipelay capability. Starting with a small core group of highly experienced personnel from a with a marinecontracting and engineering background in the company's earlier years, OCS has now expanded its dedicated staff with support operations in the United Kingdom, Australia, India (Bangalore) and Indonesia. Experienced in all the marine, structural and operational aspects related to the design,fabrication and installation of offshore platforms, pipelines, subsea structures, moorings and all related facilities. Services for OCS clients include Marine Facilities Engineering and Design, ConstructionManagement including related Engineering and Field Support, Marine Equipment Upgrades, Rig up of Specialist Equipment Spreads, Stinger Design, "Build to Operations" Manuals for Marine equipment etc. OCS operates a jacket Launch Management services and has launched a total of 6 jackets withJackets up to 8500 metric tonnes in 158 metre water depth. OCS Operates a suite of Strategic Equipment together with Support Technicians in the marineconstruction support areas of Pipeline Pre-commissioning, Pipeline Pre and Post Trenching, Free Span Corrections, Pile remediation Flexible Flowline / Cable / Umbilical installations etc. We are continually adding to our equipment inventory. 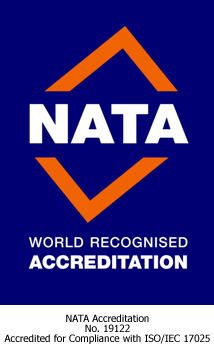 OCS was certified to ISO 9001 in 2008 and accredited by Nata for mechanical testing in 2013. OCS purchased a office / workshop facility in the Pioneer district of Singapore in 2014 to accommodate the Company's management, engineering and equipment groups. The workshop is equipped with machining facilities and is used for the maintenance of OCS Equipment and for the construction of specialised equipment packages leveraged by our onsite Construction management and engineering. The facility had been continually improved and is now a centre of excellence and critical hub for the support of OCS various business lines. pipelay post trenching and miscellaneous nearshore and shallow water projects. The barge is attended by a multicat AHT, diving, survey and other critical equipment and is fully owned and operated by OCS . The vessel is available for charter or for lump sum contract services.